It has been a long time since my last post, I was super busy; trying to build up my inventory for a craft fair I participated in, in November; and then I had a flurry of snowflake ornament orders - I knew I would probably be busy with orders, and I was. This year has been a very good year for me in my Etsy shop - I met and surpassed my goal of sales, honestly not because I did anything different - I think quilling has become more popular which led more people to search it out. I really do appreciate everyone who supports handmade, and for those who stopped by my shop. 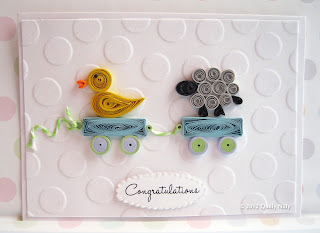 Just the other day I had someone contact me through Etsy, she loved my quilled ducky card and wondered if I could create a version for her friend having twins...why had I never thought of that? 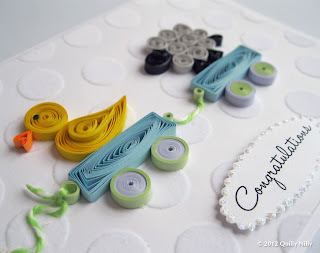 I loved the way it turned out and it has been added to my shop just moments ago...one of the reasons I absolutely LOVE custom orders - some things I just don't think of on my own. I've been making a list of new items I'd like to add to my Etsy shop, and will do my best to post here when finished. Here's to a creative 2013! 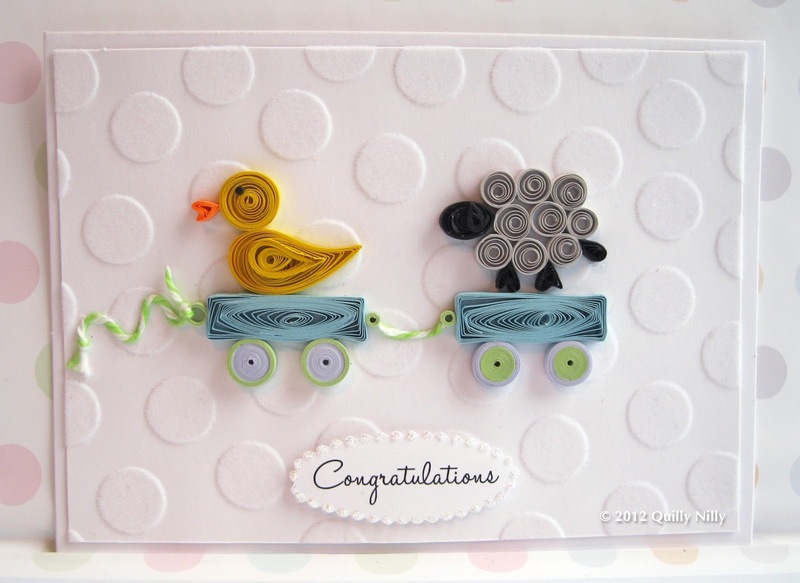 I agree with Pritesh, anyway love your card its so cute!! so cute.. i love your work! Thanks so much. I think I changed the comment verification process, sorry for the inconvenience. Happy New Year! Very, very beautiful, great idea! So so huggably cute. Would love to have you visit my blog and stay a while if you like what you see.